I am a Certified Canine Massage Therapist from Colorado State University and the Boulder College of Massage, Canine Massage Program; and have found my passion helping Canines and their companions. The Boulder College of Massage provided me with a solid knowledge in the muscular - skeletal structure for Canine Massage; while CSU taught me from the neuro - muscular side; both perfect complements to my Qigong studies with Grandmaster Yang, Jwing-Ming who has provided me an understanding of the power of Qi. The combination of this knowledge enables me to share my Qi with your canine companion to improve their mind and body wellness. I also provide Pet Nanny services; and teach Canine Agility, enjoying the 'ahh-ha' moments I share with my students as they and their pups work through the obstacles and exercises. Canine Agility is one of the best bonding experiences you can share with your pup and is a blast! I am passionate about animals. Having grown up in Southern California and Northern Virginia, I was fortunate to experience a variety of nature. 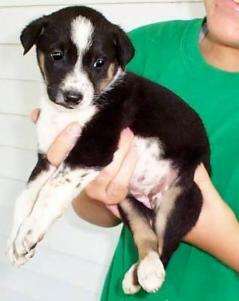 When I was knee-high to a grasshopper, my family took in our first rescue puppy -- her name was Peppy. She was a great Beagle mix, a couple months old found wandering the countryside and brought to our doorstep by neighbors. Our next pet was Whiskers, a calico kitten, another rescue brought to us. We were the local animal lovers and all strays were welcome. Our family received puppies, kittens, dogs and cats; and I had my occasional box or snapping turtle, garter snake or pet spider. We always did our best to find homes for our rescues, though we grew attached to several who eagerly became members of our family. When I was five, I began training with horses; beginning with English and later Western. I started showing and broke my first yearling when I was six years old. I continued riding for several years and, today, enjoy riding when given the opportunity. Horses and I also share a special bond; similar to the bond I share with dogs. As you can see, from childhood I have had a love of animals. Now as an adult, when I look to add to my family, I look for rescues. I find them through rescue email lists, the local Humane Society; or, as I found Tiki, through PetFinder.com. Over two years ago my beloved Bandit was diagnosed with cancer. I was fortunate that she led such a lively life to the very end. 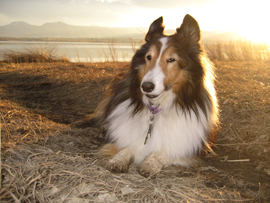 Overwhelmed with sorrow, I didn't last too long before looking for a companion for my Sheltie, Talisker. He had never been alone and was very depressed. Searching a variety of avenues, I found the new addition, Tiki. The day was Thursday, September 22, 2005. Her name then was Hope, very serendipitous considering the emotional state I was in. I called to see if she was available, she was. She was in Paris, IL; I was in Boston, MA. Friday AM, September 23, I drove to Logan Airport, purchased a round trip ticket, flew to Indianapolis, IN, rented a Hertz rental car, drove to PetSmart, purchased a doggie Sherpa bag, drove 2 1/2 hours to Paris, IL, and found my little 5lb. 8oz. 7 week old Blue Heeler/Husky mix. She was adorable! Then, off she and I went, back to the airport, onto the plane, and home to Boston. My friends knew this wasn't out of character for me. My love of animals, my passion is unwavering. Others thought I was completely off my rocker, that is until they saw the little, furry bundle of joy, now known as Tiki, my Polynesian Princess. Tiki has been an amazing addition to my family and my life. She is my greatest companion, offering an open paw and heart to all. Tiki was a motivational force in my decision to go back to school, follow my heart and begin 4TheLuvOfDogz. Graduating with a 4.0 in my Certification as a Canine Massage Therapist from both the Boulder College of Massage Therapy and Colorado State University I have a solid knowledge in Canine Massage, complementing my Qigong studies I trained for in Boston with Grandmaster Yang, Jwing-Ming providing me a knowledge in the power of Qi. The combination of these disciplines enables me to share my Qi with your canine companion to improve their mind and body wellness. I call it Qi Touch. 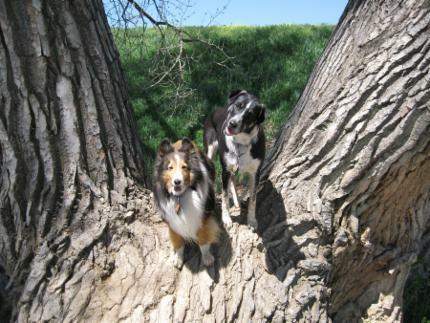 On September 25th, 2008 I drove to Golden, Colorado, and picked up two 12 week old Aussie puppies, Bear & Baci. 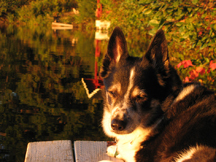 They were fortunate to have shared time with Talisker before his passing on December 15, 2008. 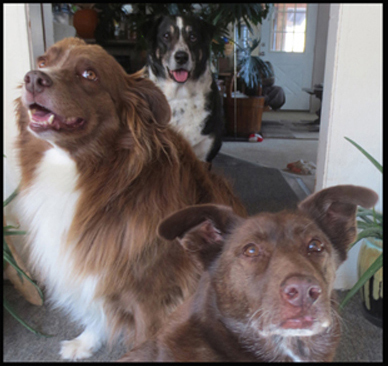 Now the pack is three; Tiki, Bear & Baci continue on. On March 17th, 2014, Sally was brought to me by Adams County Animal Control - she was on the list to be euthanized for being too shy, and in the final hour a friend signed up to adopt her. She was so afraid of humans, I couldn't adopt her out and she became part of our pack. 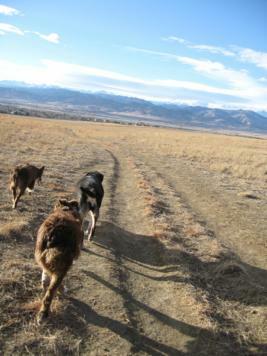 When she arrived at the Caribou Dog Ranch, she was afraid of the World, her trust in all things broken. I kept her on a six then twenty-five foot leash to help her come into her own and learn this is a happy place, I and my Girls Tiki & Bear helped her to trust again. Now, she is a beloved, loving, member of our pack, playful with dogs, loving to those she trusts and now, is embracing life to the fullest. With no idea of her history, I know she was a loved companion early on in her life, she curls up on the pillow next to me, is always by my side, is playful ready for belly rubs and kisses; and is full of love - she is her true self - she is beautiful. Please feel free to contact me with questions, concerns, ideas and recommendations on how to improve my services and web site. You can email me directly, or complete & submit this simple form. 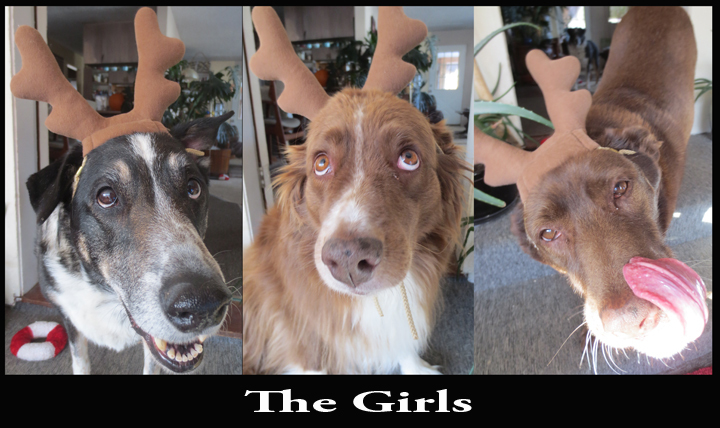 Join in the fun and stay up-to-date with 4TheLuvOfDogz Lovers! on Facebook!